Vegetarian talks about transitioned to a Vegan diet and posted a video seeking assistance from other vegans on the lifestyle. She also spoke of doing this to clear up ashma and mucus build up she was experiencing from eating dairy (milk/cheese) products. AND she she got a new bike. This Sunday will be a Veggie (vegatarian vegan) Pride parade/rally/food-fest( http://veggiepridela.com or LINK1 LINK2), starting in Culver City and ending in Venice Beach. I suppose people on bicycles would be welcome to ride in the parade. I suppose costuming the dressing up the bicycle in veggie themed stuff would be fun. Perhaps making the wheels look like giant orange or lemon slices? How about colorful spoke cards to commemorate the parade? And perhaps ?? any other ideas to share? (details and links for the parade below) Plus here is a video clip of Jessica Alba talking to Jay Leno about some Organic Vegan (dairy and egg free) cupcakes she made for Easter this year (and for her new daughter coming up on her one year birthday). Also, check out one of many links(LINK) of how athletes are going with a vegan lifestyle as a way to improve their strength, speed, endurance and even body mass (such as body builder Kenneth Williams and several other whom call Venice, Santa Monica, and West L.A. home)And for bicycle commuters this can enhance the distance and speed of your bike commutes. Also, It can minimize recovery times. If you want to know more about that let me know. There are lots of scientific studies and researchers whome have documented this information. So, come and get your veg on with inspiring guest speakers Karen Dawn, Rory Freedman, Ken Williams, and other special guests. You’ll be able to explore great food and cruelty-free shopping with our Veggie Pride Parade Vendors! LA’s first VEGGIE PRIDE PARADE will begin at Culver Events (11948 W. Washington Blvd, Los Angeles, CA 90066 ) and there will be a 5k VEGGIE PRIDE loop through Venice returning at Culver Events for a post-parade rally with special veg guests, veg food, veg entertainment & more! Endurance Athlete talks about eating Raw Vegen Diet for improved Endurnce, strength, Mental clarity, etc. Arnold's Way - Endurance Athlete On Low Fat Raw Vegan Diet. Michael is an ultra long distance runner who is fueled by large amounts of raw fruits and vegetables. Michael just completed a marathon before the taping of this interview in 02:32:35 Michael talks about the importance and benefits of following a low fat raw vegan diet. Carl Lewis (Gold Medal Olympics winner) and actor talks about eating a Vegan diet for improved athletic and mental performance. Last week Ellen DeGeneres (@TheEllenShow) twitted to Oprah (@Oprah) a picture. It reads "A Cover Built For Two". 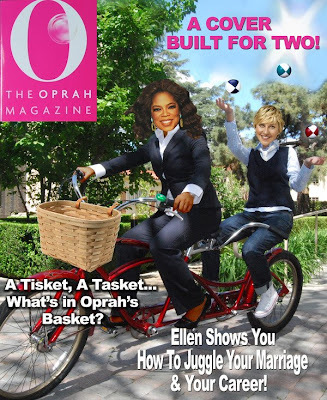 And it shows Ellen riding back seat on a vintage tandem bicycle with a wicker basket in front. The sub headlines read " a Tisket, a Tasket... Whats in Oprah's Basket?" and "Ellen Shows You How To Juggle Your Marriage and Your Career!" While on the subject of Twitter. How about a tagline for all matters of bicycling in Santa Monica? Any thoughts on a short tag line that is not yet being used? How about #Cycle90401 ? REI has a new Youtube account with a playlist of bike videos. Here is the Road/Commuter bicycle videos playlist. The playlist is titled "Road Bike Videos: Equipment, Safety, and Maintenance"
Murata's bicycle riding robot now has a playmate. She is the Murata uncycle riding robot. Also known as "Murata Girl". Murata Manufacturing demonstrated Murata Girl, a unicycle-riding robot, at CEATEC Japan 2008, Japans largest IT exhibition held at Makuhari Messe. Murata Girl is 50cm tall and weighs 5kg. It is equipped with two tilt-angle detection gyro sensors. It maintains balance by monitoring gyro sensor signals to control the movement of the wheel and the rotation of a fly wheel inside her torso. It also uses a pair of ultrasonic sensors to measure the distance between an obstacle and herself. Murata Manufacturing, which promotes science education as a part of its corporate social responsibility activities, developed Murata Girl in order to respond to the voice of children who requested the development of a unicycle-riding robot. This Thursday will be a special event at the Hammer Museum in Westwood (West Los Angeles L.A.). (See description/details of event below or see link). There was also an article about this event in the Tuesday edition of the Daily Bruin, with some interviews with Lisa and some students from UCLA. Here is the trailer for the film Breaking Away. Grab some friends and pedal on over for a bike-centric evening of food, fun, and film. Enjoy free museum admission, a screening of Breaking Away, a performance by Telematique, veggie snacks, drinks, and free bike valet parking by the LA County Bike Coalition. ALL HAMMER PUBLIC PROGRAMS ARE FREE. Tickets for this screening are required, and are available at the Billy Wilder Theater Box Office starting at 7:30. Limit one ticket per person on a first come, first served basis. Hammer members receive priority seating, subject to availability. Reservations not accepted, RSVPs not required. Automobile parking is available for $3 after 6:00pm under the museum. Secure bicycle valet parking in the courtyard is FREE. Please use Lindbrook entrance to the museum, one block north of Wilshire Blvd. News and videos(see videos below) of a partmership between General Motors and Segway have been released today. The stories indicate the partnership in the development of the PUMA (Personal Urban Mobility and Accessibility). It is a 2 seat all electric drive vehicle. It essentially is rolling on 2 wheels. It also has two kind of caster wheels in the front and another two in the back to help with keeping the vehicle upright at stops, while parked, if power was to go out, etc. It seems that the two wheels could be used durng times of attempted to save energy. Is this GM's attempt at winning favor with the public and the government? GM has been opitomised as the giant corporation that does not care about the public and their desires, or the issue of dependence on fossil fuels. They have be dogged for their continued effort and developing ever bigger and bigger vehicles, which seem to get less and less fuel/energy economy. And at the same time they have been getting into more financial trouble. It seems that one of the only things keeping them afloat financially over the last few years is the massive profit they have generated from their lending company. An while GM has been in essentailly a static position with the deployment of producing energy efficient and practical affordable accessable environmentally friendly vehicles, other companies like Toyota and Honda have been racking in massive profits on these kinds of vehicles, and winning the publics esteem and credibility. Is it possible that we could see the PUMA available by this summer? The PUMA could be combined with public transit, like commuter trains. And/or it may be also used in Car share fleets. It appears that these vehicles could be configured for towing one or two astride behind taxis as well. It may also be configured for towing a small bicycle trailer for added cargo carrying capacity. With a vehicle like this, we may see city planners retrofitting public parking to accomodate the footprint of this all electric micro car. And also we may see much more availablity of electric outlets and public charging stations to charge these vehicles. 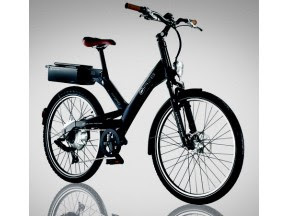 And this may be a boom for those riding electric assist bicycle whom also depend on access to suitable, safe, convenient places to plug in an charge thier batteries too. Some folks talked about a "Green Lane" deployment in California. It may be that this vehicle, being that it is essentially as wide as a bicycle trailer would be feasable on esisting bicycle lanes. And thus it may futher prompt the building of more bicycle lanes (or perhaps California Green Lanes) in California to accomodate this vehicle to be shared with other ultra lite micro sized vehicles that are friendly to the environment. 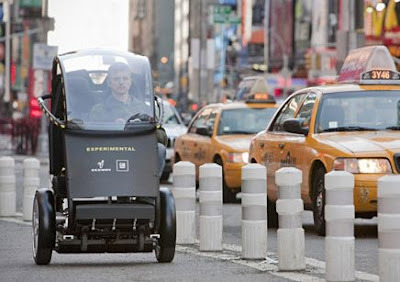 Who knows, it could revisit the idea of vehicles like those invision by Sir Clive Sinclair and his C5, 3 wheeled electric micro car.
. And it may make it easier for folks driving around town in their electric hybrid power assist bicycles whom depend on access to electicity charging stations. Crimanimalz, the bicyle riding activists, Freeway riders get interviewed on Epic FU. MAIN STREET — For several hours every week, life for Helene Zuckerman is confined to a 400-square-foot retreat. It is in the small nook of the Santa Monica Community Gardens on Main Street where Zuckerman cultivates her own produce section, covering nearly every inch with fruits and vegetables, from the blackberries sprawled along the fence to the Swiss chard on the ground. "Every year I grow different things and learn more," Zuckerman said. "Everything is organic and tastes delicious." She has maintained the garden for less than three years but had to wait nearly three times as long to call it her own. The popularity of the community gardens program — which has a waiting list 175 residents long — has led to a dearth that can't match the growing demand, forcing city officials to get creative when looking at ways to expand opportunities for Santa Monicans with the green thumb itch. One option City Hall has been exploring for several months is to create a registry that would match prospective growers with private property owners who have the land but not the time to garden. "We would see our role as more of a registry to connect people but have them make their own arrangements," Kathy LePrevost, the community programs manager for City Hall, said. "We're just trying to be the facilitator." Councilman Kevin McKeown, who sent a similar proposal to city staff last week, called the concept "21st century urban sharecropping." "Lots of Santa Monicans would love to have fresh produce for their families," he said. "Many have yards or lawns that would make perfect gardens, but can't commit the time to grow food crops. "At the same time, we know we have willing gardeners who've been waiting for city community garden plots to open up." McKeown said he is trying to get a hold of 100 families who are currently on the waiting list. "I want to make sure there is real interest in this from gardeners," he said. City Hall currently operates three community gardens spread throughout Santa Monica, which have about 117 plots amongst the trio — Main Street, Park Drive and the newest addition, Euclid Park. Applicants must be a Santa Monica resident and pay $60 annually for their plot of land. Residents remain on the waiting list for about five years on average, LePrevost said. Residents in the Pico Neighborhood have lobbied city officials to open a community garden in their area, pointing out a vacant lot at the corner of 20th Street and Delaware Avenue as an option. Others have suggested building rooftop gardens. "I think there is a larger movement that people are plugging into for the need for urban farming and accessibility to local produce and having the connection between where your food comes from and the meal on your table," said Linda Piera-Avila, a 2008 City Council candidate and Pico Neighborhood Association board member. "There is more appreciation now than in the past concerning pesticide and resource usage and living more sustainably." Piera-Avila also suggested that City Hall should consider building a public garden over the I-10 Freeway between 14th and 17th streets if it decides to deck it. "It's amazing how abundant a community garden can be in a small amount of space," she said. "You have excess tomatoes and zucchinis to show all your neighbors and that builds community too, to share excess harvest." Those who already have a plot seemed intrigued by the idea of pairing property owners with gardeners, but saw some potential problems in the arrangements. Tom Davidson, a Downtown resident who has managed a 100-square-foot parcel at Park Drive since June of last year, pointed out that some vegetables, such as asparagus, could take two to three years to grow. For the arrangement to be successful, the gardener would need at least a two-to-three-year commitment from the property owner, he said. There is also the issue of privacy and whether the gardener would be allowed to show up whenever they please, Davidson added. "But from a community point-of-view, it might be helpful," he said. Davidson spends several hours a week working on his small garden where he brings his two sons — ages 3 and 5 — to learn about horticulture. While the produce is tastier than what is purchased at a market, Davidson said there is a misperception that growing is a cheaper alternative, pointing out that he has invested about $1,000 into his garden while only consuming about $200 worth. Much of the money was spent on a new fence, pots, soil and seeds. "I do it because I love gardening and for the educational experience," he said. Zuckerman decided to apply for a community garden after learning about it through a friend. She remained on the waiting list for about eight years and had forgotten until she received a phone call from City Hall about an opening. Several months after she began gardening, Zuckerman received a letter from the IRS notifying that she would be audited. Stressed out, Zuckerman drove to the garden where she spent several hours working. When she returned home, Zuckerman picked up the letter again and was surprised that she had gone two hours without thinking about the audit. "When I'm here, this is all I think about," Zuckerman said. "Nothing else exists really." "Follow a group of dumpster divers on a musical journey through the back alleys of Montreal. Between song and dance routines about waste and the joys of reusing other people's garbage, five young adults discuss the philosophy of living off society's excess. Going through other people's garbage provides these young Montrealers with food, furniture, clothing and luxury items they could never afford if they had to buy them. For more info"
If you liked the documentary film "Ready, Steady, Skip!" documentary, you might also like another documentary that came out last month. It's called Skipping Waste (watch it below in full). In it, the bicycle riding folks, (hailing from France and the Netherlands), take the viewer along on their bicycle rides through streets and alleys of cities in France(and Netherlands?) to discover their hidden treasures being throw out daily. They claim tons of this safe and edible "waste" go to landfills each day. They also demonstrate how to pick, prepare, cook, and eat it while having fun along the way. 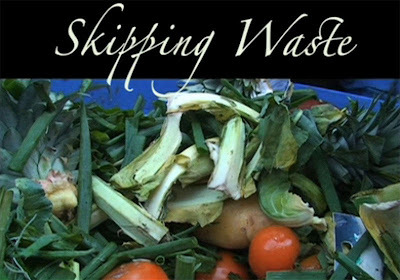 "Skipping Waste" is a documentary about dumpster diving created in 2009 by Lily Barlow. It was shot in France and the Netherlands. The movie is distributed under the conditions of the Creative Commons ShareAlike NonCommercial Attribution license. Monopolized supermarkets chains dominate food sales. Bananas from Columbia and avocados from Brazil fill food baskets of European consumers throughout winter-time. These and other unsustainable consumer habits lead to a well of waste, burned oil and overflowed landfills. Desperately seeking an alternative, dumpster divers take to the streets, feeding themselves and those hundreds in need with dumpstered food. "Skipping Waste" follows these communities through France and the Netherlands as they recoup and reuse what a capitalist society deemed as trash. Recently, some bike riding folks out in the UK came out with a kind of documentary called "Ready, Steady, Skip". "the game show where needlessly wasted food is recovered from the bin and turned into delicious dishes before your very eyes!" You might say they are doing some urban harvesting and feasting... of sorts. 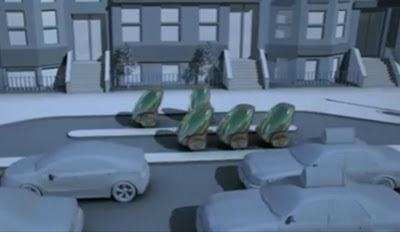 It just occured to me that the 3 wheeled electric compact car I posted on earlier (see video below) may be using the same steering technology as the Dymaxion car invented by Buckminster Fuller, the guy most famous for creating the Geodesic domes (among other things). See one of my favorite Dymaxion Car Video below. The dymaxion car uses the rear wheel as it's turning wheel. The front wheels do not have a turning axis. Hey guys, Youtube has been exploding with hundreds and hundreds of new compressed air powered vehiles videos. Recently, I even saw a vidoe of Dr. Michio Kaku (world famous physicist from New York) touting the advantages and future of cars powered by compressed air. One of my recent favorites is a test drive of a convertable MDI powered by compressed air. Finally someone posted the video of Jay Leno showing his Baker Electric car. 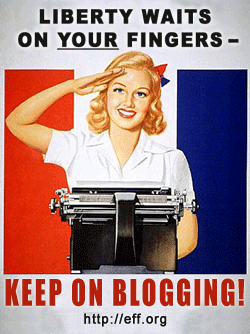 Jay, please consider putting up all your videos on Youtube, or at least make your videos embedable, so us bloggers can be able to show what we are talking about. Thanks. Although a crude electric carriage was originally created in Scotland in the late 1830s, the first functional electric car in the United States was produced in 1891. For the next decade, the clean, quiet electric car was the king of the road. In 1899, an electric car broke the vehicular land speed record, and by 1900, there were more electric cars than any other kind in the U.S., accounting for 38% of the nations car market. Jay still uses his Bakers original Edison batteries. In 1898, the same year that gasoline-powered vehicles first appeared, automotive innovator Walter C. Baker started the Baker Motor Vehicle Company in Cleveland, Ohio to produce his electric cars. His company went on to manufacture more electric vehicles than any other company in history, despite the fact that it ceased production of them in 1916. Baker presented the first ever shaft-driven automobile at the first American auto show at Madison Square Garden, and is said to have sold his first electric car to Thomas Edison, who developed its batteries. Jay still uses his 1909 Bakers original Edison batteries. He just washes them out occasionally and refills them, and they work fine. The essentially maintenance-free Baker Electric was a high coupe with carriage styling, brass fittings and tillers instead of steering wheels. With no cranks, no fumes and no mess, the cars were very appealing to women, and were soon designed and marketed specifically to them. Stepping into a Baker was a little like stepping into a very small parlor - Jays Baker even includes a small make-up compact with mirror attached to an interior wall. Its not surprising that its his wifes favorite car, even if it is a little bit like riding in a phone booth. One charge will take the car about 110 miles, which isnt much different from contemporary EVs. This is one car you dont want to take on the freeway, and its not so great on hills either. The top speed of Jays car is about 25 mph, which is probably a good thing, since it only has rear brakes. Back in the day, Baker became the first man to travel at 100 mph in his electric Torpedo, but a fatal accident during the trial kept him from claiming the record and making any further attempts to win it. When Charles Kettering invented the electric starter in 1912, and Henry Ford began mass producing gasoline powered cars which cost half as much as the average electric, Bakers days were numbered. Still, its difficult to believe there arent more electric cars on the road today. THE BUCKMINSTER FULLER CHALLENGE 2008 -You never change things by fighting the existing reality. To change something, build a new model that makes the existing model obsolete. Bucky had it right. "You never change things by fighting the existing reality. To change something, build a new model that makes the existing model obsolete." That's why we're awarding a $100,000 prize each year for comprehensive solutions that radically advance human well-being and ecosystem health. The 2008 prize will be conferred June 23rd in NYC.